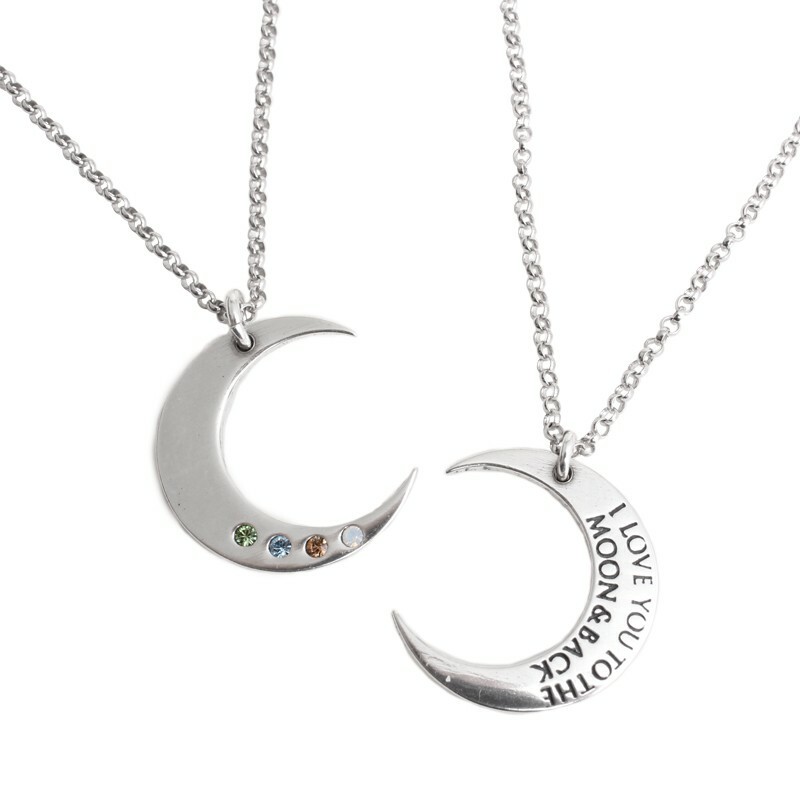 Celebrating the birth of a new baby in the family? 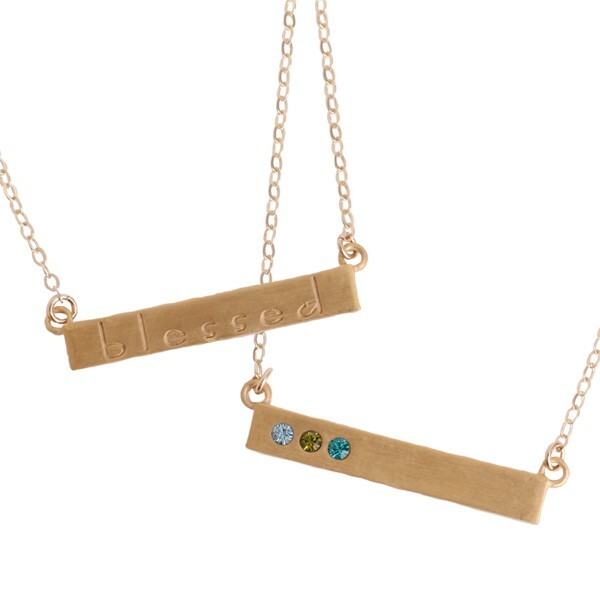 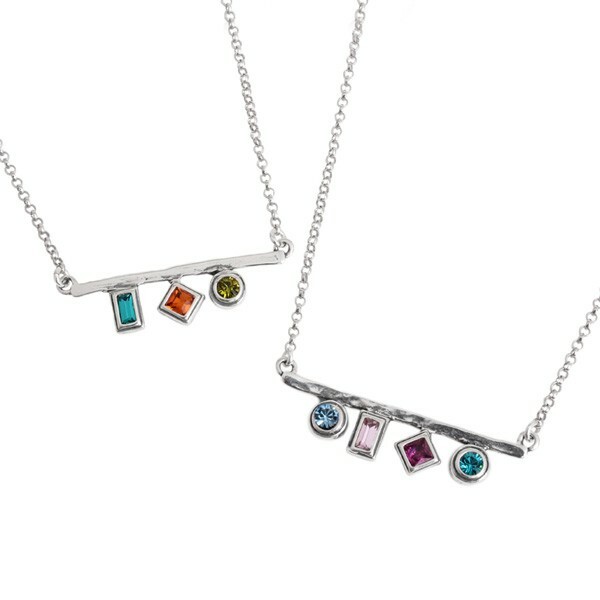 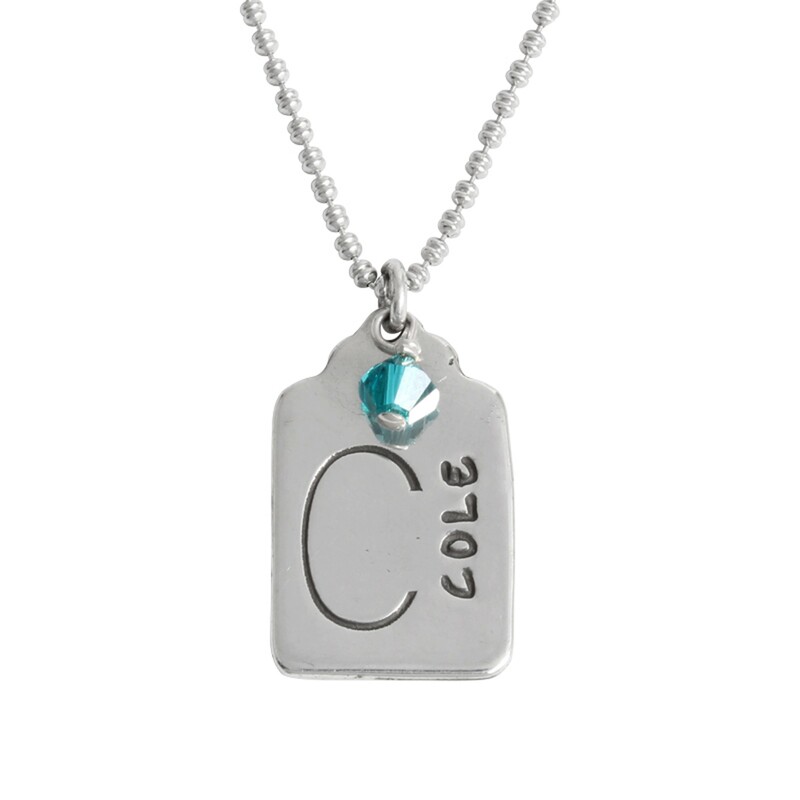 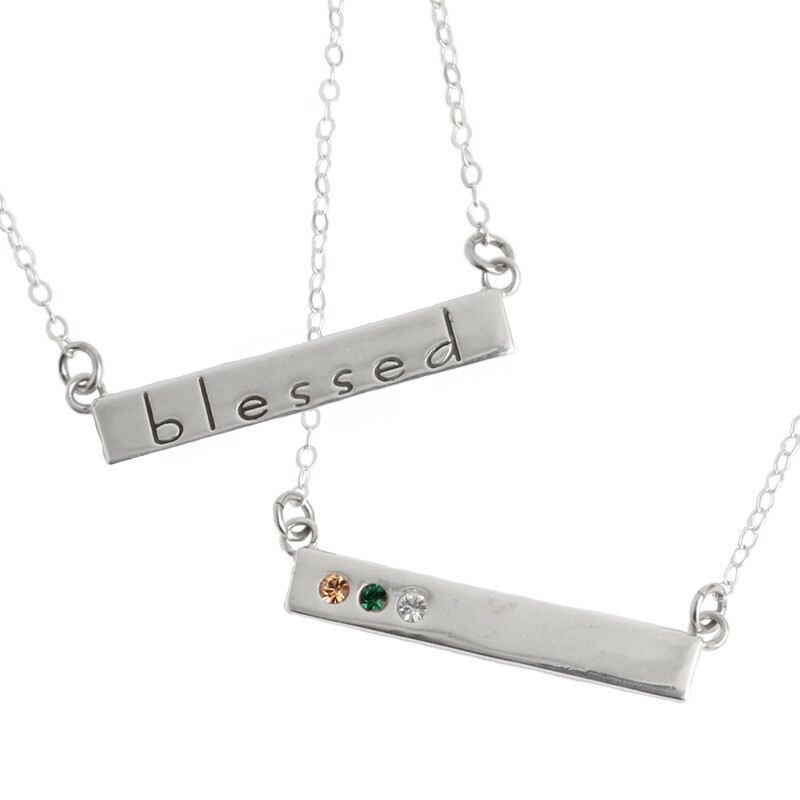 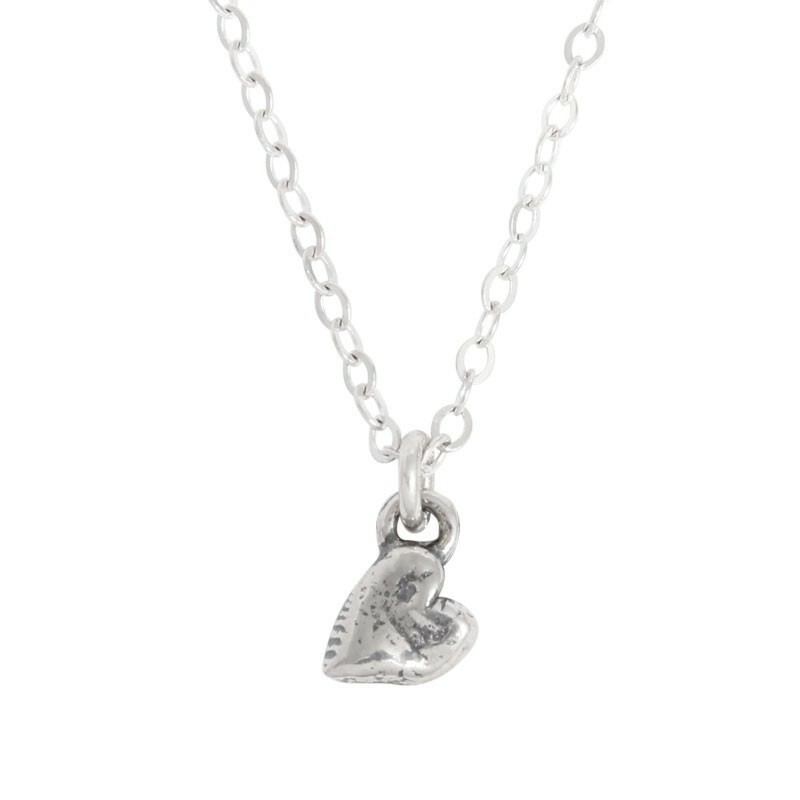 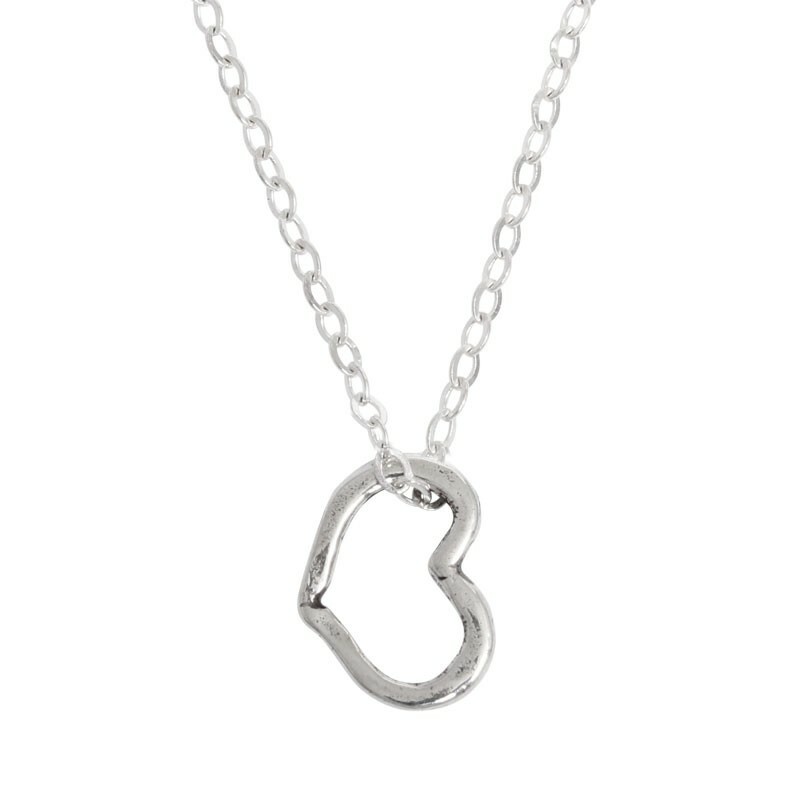 Our personalized mother's necklaces are a stylish and subtle way for a new mom to always have a piece of love with her. 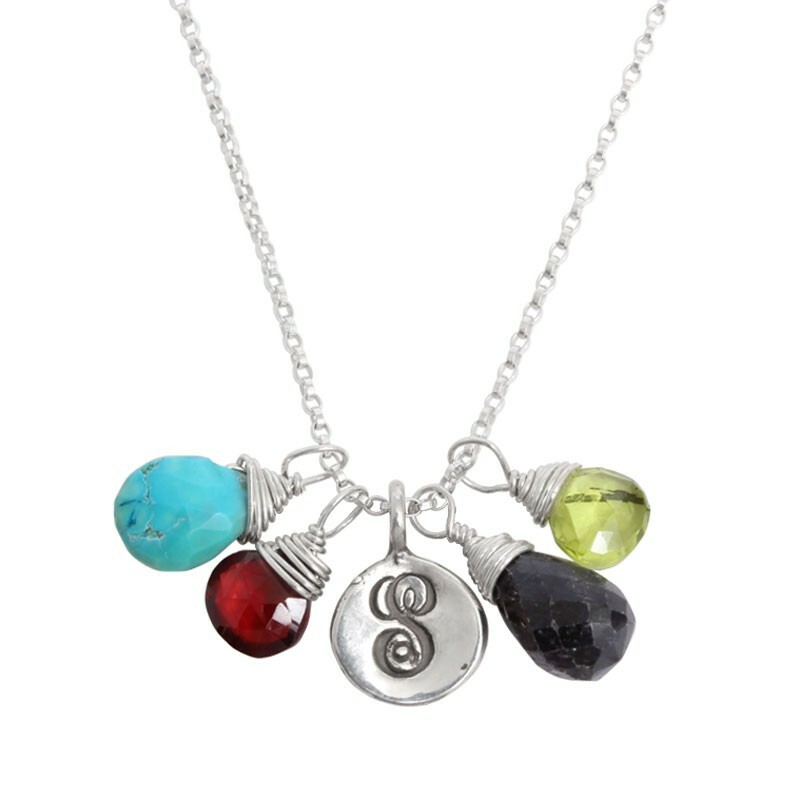 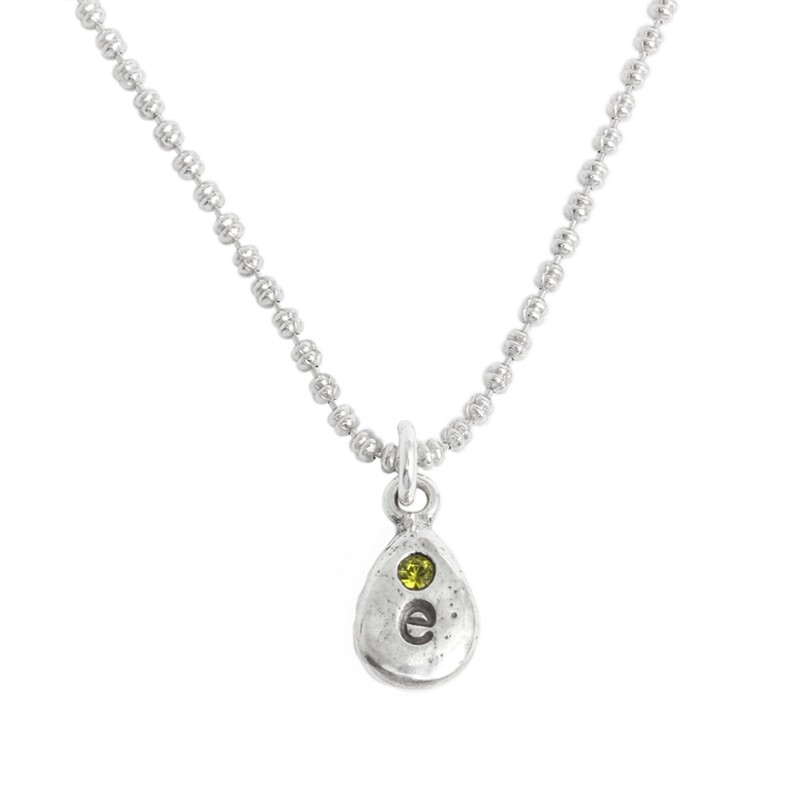 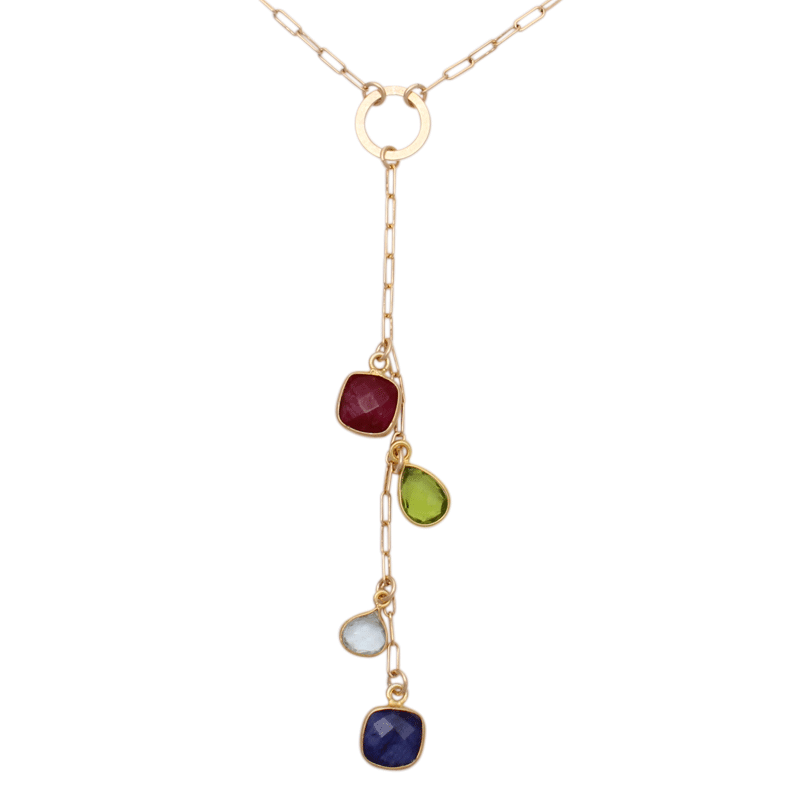 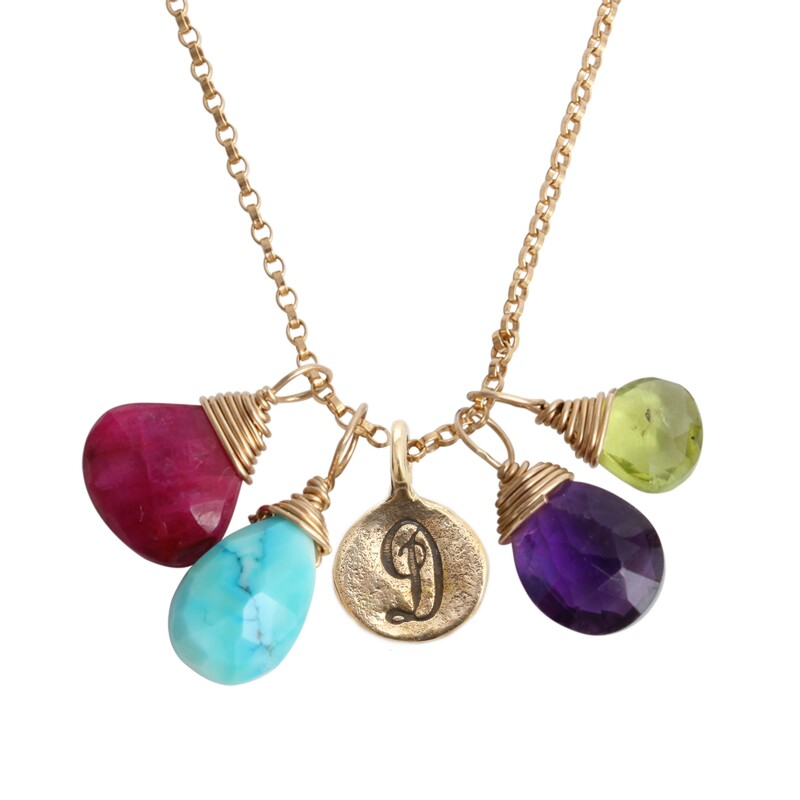 Whether you choose a birthstone necklace or a charm necklace stamped with the baby's name ~ you will be creating a special necklace for a new mom that she will cherish for years to come. 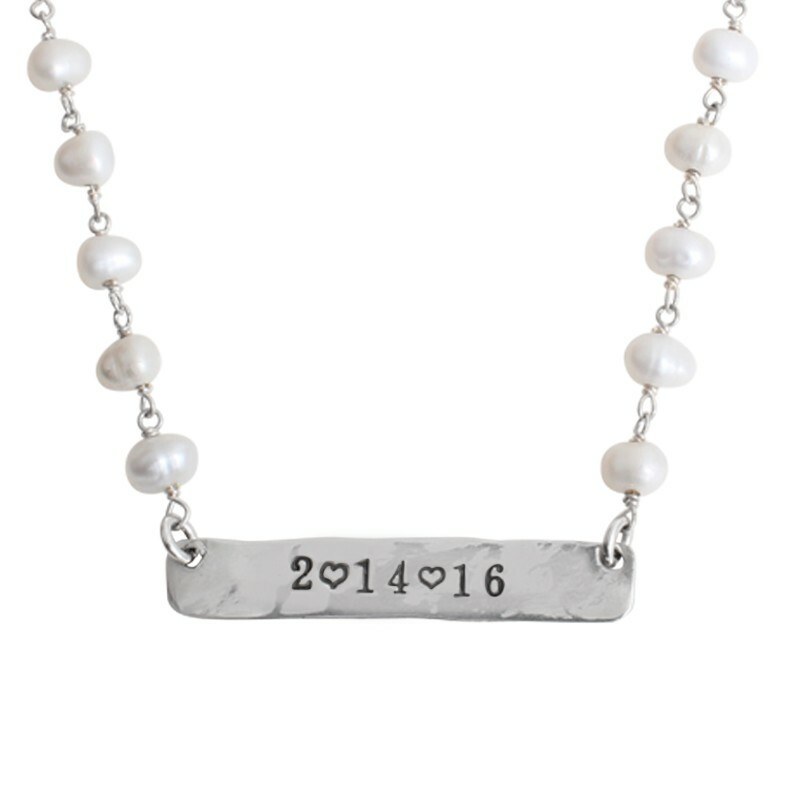 We also offer new mom intertwined rings that you can stamp with the baby's name and birth date, or create a bangle bracelet with the name, date or other special words that hold meaning.